The experience with Coco at the hospital was pretty intense. And I feel a bit knocked off my life’s tightrope — balancing my paid work, my creative work and my (unpaid) family duties. 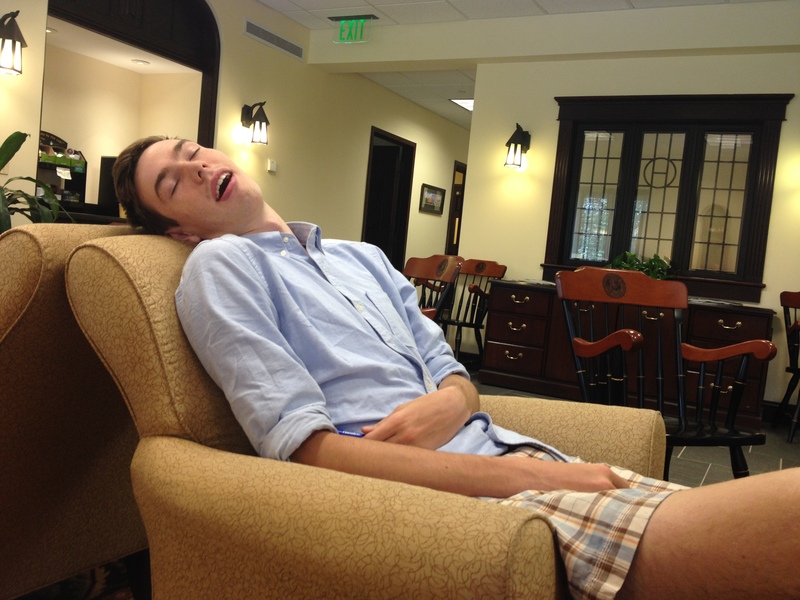 H. napping at one of the colleges we visited. He is an excellent napper. One such responsibility is supporting H. as he applies this week for early decision to a college. He needs a reminder to focus. He’s been coping with the added stress by napping when he gets home from school. There were a dozen limos on West End Ave. I wondered what was up. And then when I turned at 77th at the Collegiate Church, there were dozens of people pouring out of the church. It was a wedding. And the sky was blue and the air was fresh, full of autumn but summer lingering. And I felt so full of life and beauty and gratitude. My kid was fine! We were going to be fine! And people from the wedded were dressed up so fancily — men in tuxes and ladies in silk. I was elated. Indeed, I do. I’m so lucky. My brother says, “Don’t say you’re lucky. Say you’re blessed.” Ya, that too. The rice and beans were delicious. And I took a long nap. 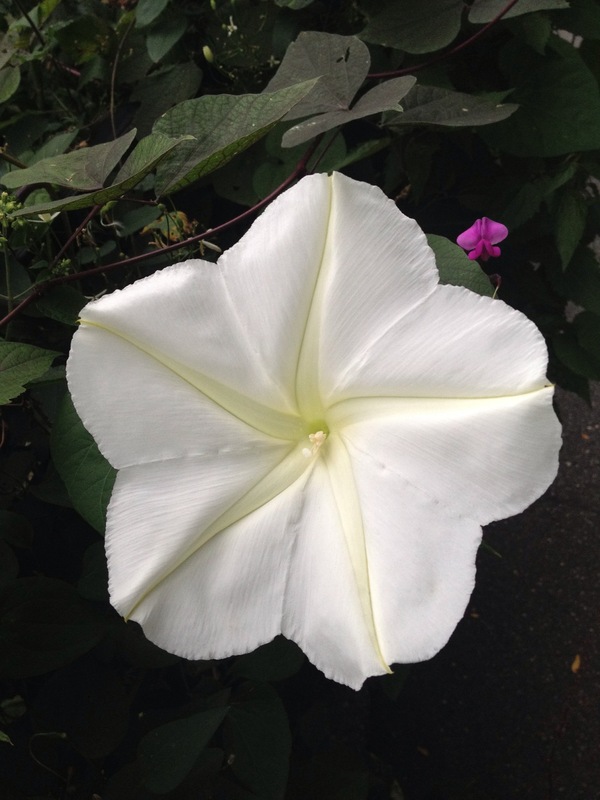 I find so much beauty in the flowers in Riverside Park. I love taking pictures with my phone. 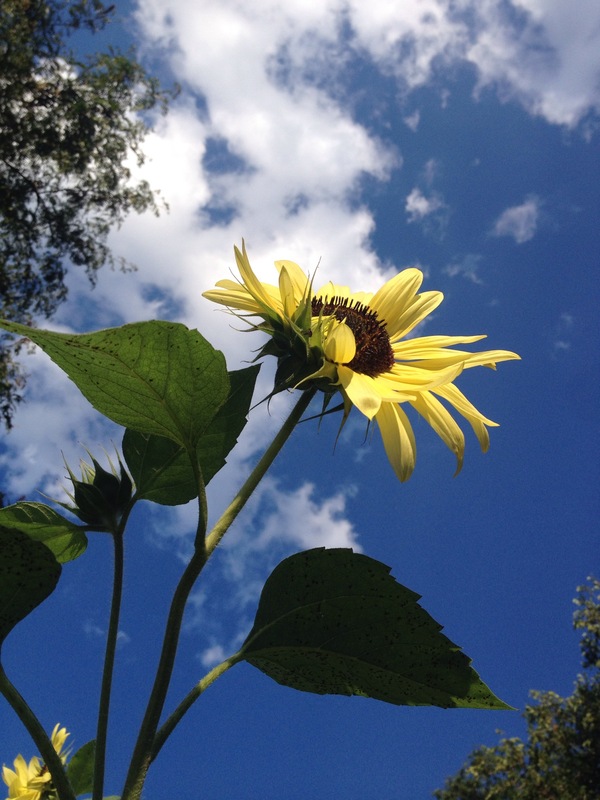 Blue sky, nothing but blue sky, and sunflower. These pictures are beautiful…thank you for a glimpse into life. You’re welcome. What I’m trying to do with my pics is show the beauty of NYC! Love the simplicity in all of this. thanks. trying to do like they say. K.I.S.S. keep it simple, sweetie! What beautiful pictures and lovely thoughts about your family and the place where you live! I just found you through the 31 Days community and can’t wait to read more of your blog. I am bookmarking it so I don’t forget! Thanks, Therese. I am loving the 31 days community — although it’s way too much work and I have way too little time. So many great blogs to discover! Right? Thanks Jen! I just want to see the positive — even though I know there’s real negative stuff out there! I am in love with those pictures!! thanks! I love taking pics. It’s very fun and relaxing for me! You have nice pics too! I’ve been away from most blogs for a couple of weeks but I’ve seen the picture of H several times. He’s so happy while he’s napping I thought for sure you were going to say it was a joke picture! I hope I look that delighted when I sleep ’cause I love my sleep.